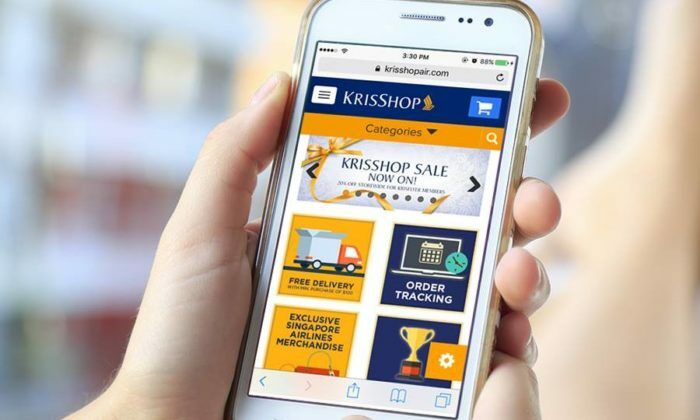 KrisFlyer, the frequent flyer programme for Singapore Airlines Group, and Points, the global leader in powering loyalty commerce, has launched “Krisflyer vRooms”. This is a dedicated platform for KrisFlyer members to redeem miles for hotels and car rental services. The partnership will enable KrisFlyer members to use their miles to book over 300,000 hotels and over 29,000 car rental locations around the globe. Through a single integration with the Points’ Loyalty Commerce Platform, which powers Points Travel services, 3.5 million KrisFlyer members will have the flexibility to fully redeem with miles or make a partial redemption by mixing miles with cash. “With KrisFlyer vRooms, members have an additional option to use their miles. Hotels and car rentals are a perfect complement to KrisFlyer as a frequent flyer programme, as these redemption options extend through the travel category. We are committed to constantly enhancing the benefits of the KrisFlyer programme, and with this new seamless redemption process, members can enjoy a more rewarding experience with our programme,” Tan Kai Ping, Singapore Airlines senior vice president marketing planning, said. “We’re excited to team up with Singapore Airlines to develop KrisFlyer vRooms. Through Points’ suite of loyalty commerce services, members have more opportunities to use their reward miles with more flexibility. This partnership will ultimately drive value for all stakeholders, as well as showcase their continued efforts to innovate,” CEO of Points, Rob MacLean, said. Currently, KrisFlyer members can redeem their miles for flights over 30 airlines to more than 1,000 destinations. Members can also use their miles for flight upgrades on Singapore Airlines and SilkAir. In addition, KrisFlyer members have the option to mix their miles and cash when paying for their tickets, as well as to use their miles to purchase advanced seat selection for more legroom in economy class on their Singapore Airlines flight. Members can also choose to convert their miles to points with selected partner loyalty programmes for more rewards on the ground. Marketing has reached out to Singapore Airlines for more details. It was also recently announced that SilkAir will be merging with Singapore Airlines (SIA) after undergoing an investment programme of more than US$100 million to upgrade its cabin products as part of a multi-year initiative. SIA’s spokesperson confirmed to Marketing that the SilkAir brand will no longer exist after the merger. When asked if there will be any personnel changes, especially in the marketing department, the spokesperson said these aspects of the integration are currently under review to ensure a smooth transition for its staff and operations. This is the first overseas RO set up by SIM in a bid to bolster awareness of its offered programmes under the SIM Global Education..
Wunderman Asia Pacific has appointed Mark Miller as head of planning, China, for the Wunderman China agencies of Wunderman, AGENDA..